Place the tortillas on a baking sheet and mist with cooking spray. Bake for 5 minutes, flip and bake an additional 3 to 5 minutes, until crisp. 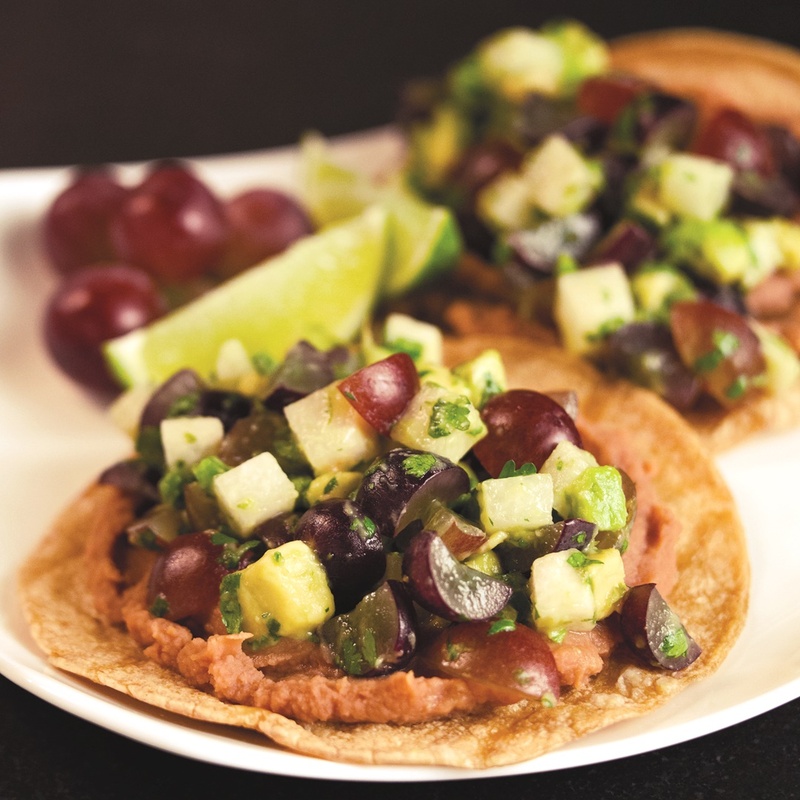 In a medium bowl, stir together the grapes, jicama, avocado, cilantro, jalapeno, zest, juice and salt. Spread the beans on the baked tortillas and top them evenly with the salsa mixture.